Learn to cue at your own pace with 14 lessons. 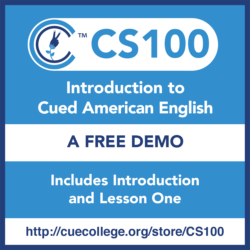 CS100 includes 14 lessons that teach the 8 hand shapes and 4 hand placements of Cued American English, one of over 65 languages to which the Cued Speech system has been adapted. You will learn to cue the 40 different phonemes used in expressing the English language, with video demonstrations and quizzes that will provide you with the opportunity to learn and practice the entire system for cueing American English at the phoneme, word, phrase and sentence levels. 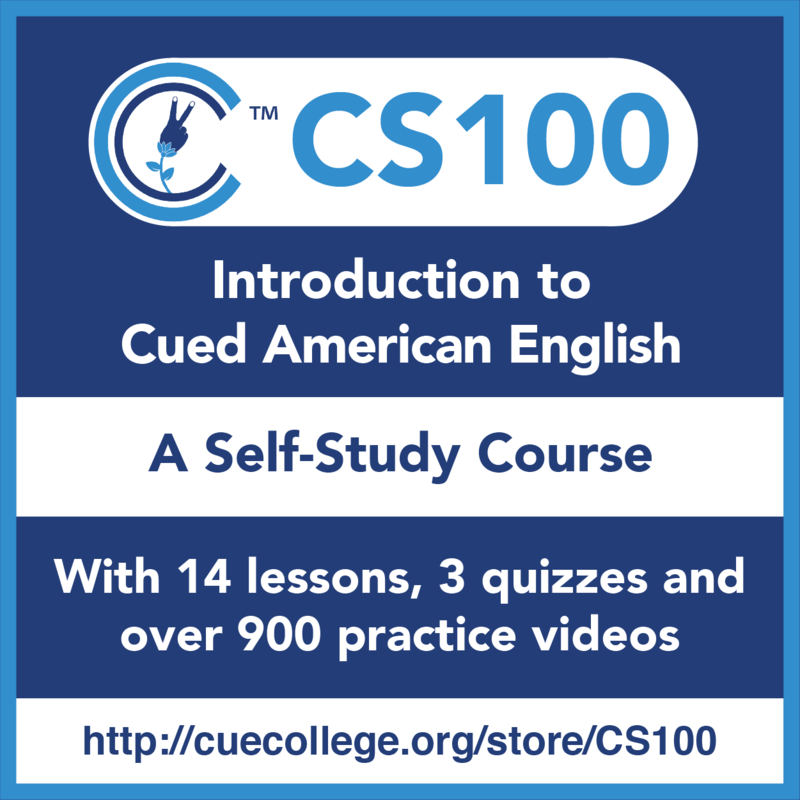 CS100 includes 14 lessons that teach the 8 hand shapes and 4 hand placements of Cued American English, one of over 65 languages to which the Cued Speech system has been adapted. 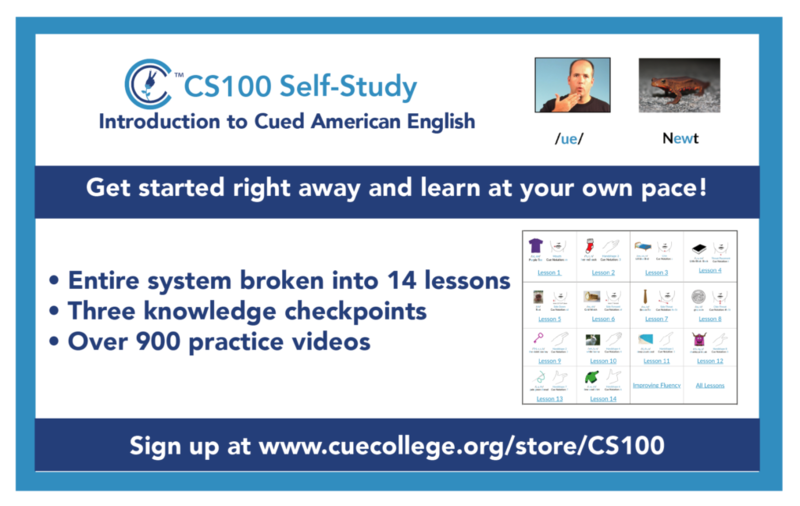 You will learn to cue the 40 different phonemes used in expressing the English language, with video demonstrations and practice activities that will provide you with the opportunity to learn and practice the entire system for cueing American English at the phoneme, word, phrase and sentence levels. 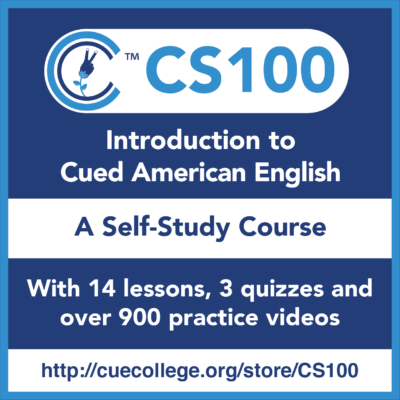 Complete all 14 lessons to gain a basic understanding of the entire Cued Speech system and how to use it to expressively cue the English language. As you progress through the course, we highly recommend that you complete all practice activities, working to memorize the handshapes and placements as you go. 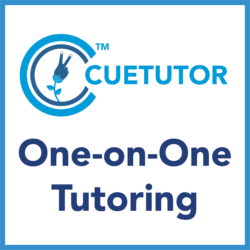 The practice videos also provide modeling of proper cueing form and mechanics — and demonstrate many techniques (provided in the "Cue Tips" sections) that will help you build basic fluency. 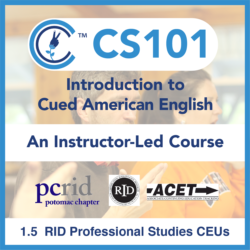 At the end of this course, you will learn more about the next steps in building fluency in Cued American English — and will be provided with opportunities to make connections within the Cued Speech community. 4) Guidelines and suggestions for how to continue your Cued Speech journey.